Teads commissioned this research as it needs to understand media consumption patterns in order to advise advertisers on where their audience’s eyeballs are trained and where their adspend investment should be targeted. Teads surveyed a nationally representative group of 2,000 UK adults and found three quarters (76%) read news online on national newspaper websites, on average twice a day. 39% of those say they will visit national newspaper websites at least twice as often as normal as they make up their minds ahead of the general election. In contrast, nearly half (46%) say they have become more wary of news reported on social media following high profile ‘fake news’ scandals around Brexit and the US election. And more than half (51%) express concern that social media sites only show them views similar to their own – the so-called ‘echo chamber’ or ‘filter bubble’ effect. As a result, 53% say they will actively seek out news and views about the election from multiple news websites they think are less likely to share their own political leanings. 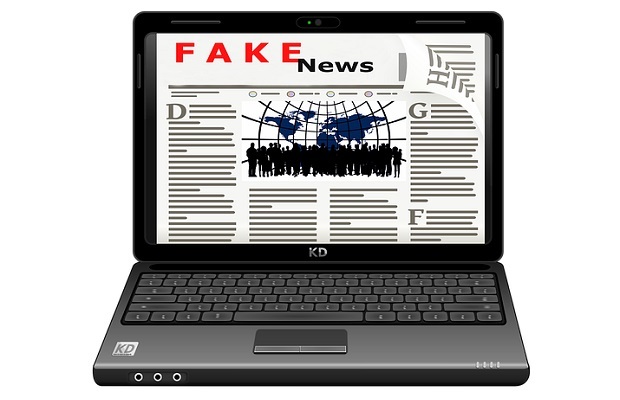 Overall, national newspapers are seen as the most trusted source of news and analysis: 33% of people ranked them top for factual accuracy, compared to just 10% for news on social media sites. The most popular way people access newspaper sites is via their smartphone or tablet (67%). Justin Taylor, UK MD at Teads, said: “Concerns over social media fake news and filter bubbles are bringing millions of people to trusted mainstream national newspaper sites more often, as they make up their minds ahead of the election. Teads commissioned independent research company Censuswide to survey a national representative sample of 2,000 UK adults between 19-22 May 2017. According to the Office for National Statistics (ONS) there are 50,371,000 UK adults. 76% say they read online national newspaper sites = 38,281,960. 39% of these say they will do so at least twice as often in run up to election = 14,929,964. 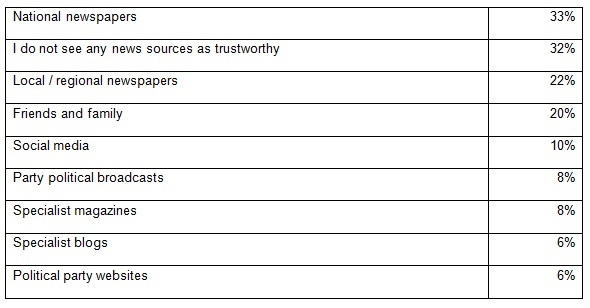 UK voters’ most trusted online sources for news and analysis of the election: Which news sources do you see as most trustworthy – in other words, factually accurate? Teads, founded in 2011, is the inventor of outstream video advertising and No. 1 video advertising marketplace in the world. Publishers work with Teads to create brand new video inventory and manage their existing inventory, monetising it through programmatic buying, their own sales forces, or third parties.